Bob Vest was born in Vinton, Iowa, in 1937. Bob credits the work ethics instilled in him by his parents as one of the building blocks in his dog training program. That is, that you never start a job that you don’t finish and that you never rush to complete a job at the sacrifice of not doing it correctly. Bob’s parents provided great support for him. He credits his mother’s support as giving him the freedom to pursue his dreams, whether it was with horses or dogs. His father and grandfather both were quite accomplished dog handlers and horsemen. Their influence on Bob taught him how to work with dogs and horses to obtain the best the dogs and horses had to offer. Bob’s father allowed Bob to own and train his own dogs throughout his childhood. Even when Bob’s training techniques were not always the ones that his father would have chosen, he was allowed to pick his own path. It wasn’t until years later that the full impact of his father’s approach became apparent to Bob; to find our own path and the balance that exists within each of us. Bob believed that this balance within ourselves is what we transfer to our dogs in our training programs. 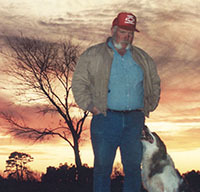 Bob’s philosophy and experience of over 50 years of handling dogs and people was a great asset. He always liked to get ‘into the minds’ of the dogs and the people with whom he worked. 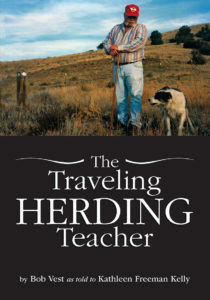 His philosophy and experience provide the content of this book, The Traveling Herding Teacher.